The statistics are telling. The BNP now has 60 local councillors and a similar number of parish councillors. By comparison, previous fascist groups had managed three councillors in total in the previous 80 years (this is without counting the seats won and subsequently lost by the BNP). The party has one member on the London Assembly, and now two MEPs in Europe. Its overall vote has risen in successive local, general and European elections. At locals it has risen to an average of around 15 per cent, while in the European elections the party polled 943,598 votes nationally, 6.2 per cent of the total (up 1.3 per cent on 2004). At Westminster level there are three constituencies where the aggregate ward votes at the 2008 local elections put it in first place. The BNP had 10,000 members at the end of 2007 – a figure that is likely to have risen since – providing it with a large and expanding activist base. It is not, by national standards, a huge organisation; it is a ‘large small party’ – at best the sixth biggest in the country. Nor, despite its advances, does it pose any immediate threat of gaining serious power. The real danger lies elsewhere, as will be outlined later. Nonetheless, if the BNP’s absolute vote is giving pause for concern, it is its trajectory that is truly worrying. The European elections saw its national vote rise by almost a fifth against a background of falling turnout. The small falls in its absolute vote in some areas, including the North West and Yorkshire and Humber, where it won its seats, are misleading as they ignore the lower turnout and factors such as the impact of moving from an all-postal ballot to a traditional election. To exaggerate the significance of these absolute figures risks obscuring the party’s continued increase in its vote nationwide and breakthrough successes in county council level. Contemporary anti-fascism is represented by two main groups, with broadly similar approaches. First, there is Hope not Hate, an umbrella group for unions and individuals within the broad labour movement but open to all. This group was formed by the Searchlight Network. 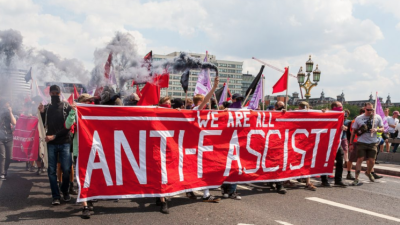 Second, Unite Against Fascism (UAF), an organisation set up by the Socialist Workers Party (SWP) and National Assembly Against Racism, which also has some union and other backing. 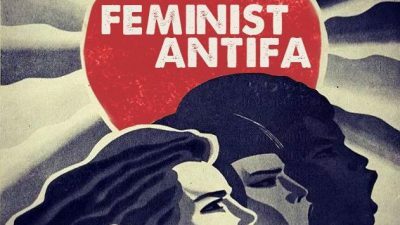 For the SWP, UAF is clearly designed to continue in a similar vein to the Anti-Nazi League, and is not shy of drawing on the ANL’s reputation and experience. Both groups concentrate their activities on two main approaches: first, exposing the criminal records, past activities and political beliefs of leading BNP members, candidates and activists; and second, calling on people not to ‘vote Nazi’. Instead electors are urged to vote anyone but BNP (with slight differences in how this is interpreted by each group), in an attempt to raise turnout and block the BNP electorally. This approach formed the basis of both groups’ failed interventions into the London mayoral and European elections. What is wrong with these two approaches? The most obvious objection is that they don’t work. They don’t work today and they haven’t worked for some time. This isn’t to say that they haven’t worked in the past, just that they cannot form the central core of an anti-BNP strategy in today’s conditions. Exposing the BNP’s various criminal and political records has had no discernible impact. In a country in which more than 40 per cent of all men can expect to have some form of criminal conviction during their lifetime, pointing out to voters in the sort of areas the BNP targets that a candidate has a conviction for assault or theft is likely to have a limited impact. If this were not the case we would today be seeing declining BNP votes and councillors not being returned post-exposure. But we’re not. We’re seeing a steadily rising vote and increasing re-elections. This tactic has been pursued over the past decade on a scale never seen before. Every section of the media has got in on the game, every candidate has been hammering home their BNP opponents’ convictions. If this strategy was ever to make an impact it would have done so in these almost ideal conditions; instead the far right vote continues to rise. We have to conclude that this approach is ineffective. Exposing past political views – for instance, BNP leader Nick Griffin’s association with Holocaust denial in the 1990s and earlier – has suffered a similar fate. Griffin has proved adept at moderating his most extreme opinions for the benefit of the media. 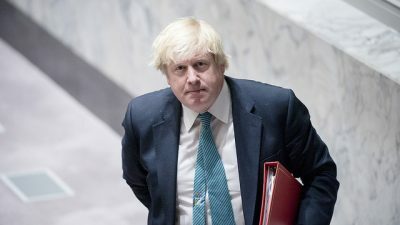 He will now acknowledge the Holocaust as a historical ‘fact’ and, as he put it to the Observer in 2002, he claims that the only reason ‘people like me’ are not always ‘polite and reasonable’ on the subject is ‘frustration with how it is used to prevent any genuine debate on questions to do with immigration, ethnicity and the cultural survival of the western nations’. As with the exposure of BNP candidates’ criminal convictions, if this approach of bringing up the death camps and Nazi Germany was going to have any impact it would have done so in the especially favourable conditions of recent fevered mass media scrutiny of the BNP. This approach did find success in the three or four decades after the second world war, when a real folk memory of the sacrifices made by millions was still alive. Today, in different conditions, it cannot, has not and will not make the same inroads on BNP support. These, though, are merely tactical problems, bred by past success and turned into conservative substitutes for effective intervention. Far more damaging on a strategic level is the second approach, calling on the electorate to ‘vote anyone but BNP’. This position is a de facto appeal to support the status quo. It effectively calls on people to support the social conditions that have given rise to their radical discontent – to support the very same parties that have introduced and are pledged to maintain those conditions. In the bluntest terms, people will simply not vote for the parties they now blame for their situation and no amount of cajoling or mentions of the Holocaust will change that. The collapse in the Labour vote over the past few years makes this patently clear. The ‘anyone but BNP’ approach helps ensure that the conditions that are producing the BNP are going to remain in place. So we’re back at square one. And it allows the BNP to make all the running as the anti-establishment party during a once-in-a-lifetime time opportunity for anti-establishment parties to make a real breakthrough. The way to undercut this is to work towards dealing with the root causes of the BNP support: in particular, the political abandonment of much of the working class in pursuit of the narrow section of the electorate classified as ‘swing voters’. Parties have privileged the interests of a section of the electorate that rarely shares the same interests as ‘core’ Labour voters in working-class areas. And this has led to the setting of parts of the same communities at each other’s throats in the fight for resources under the name of multiculturalism; the closing down of schools and hospitals; wages being driven down; debt; sub-standard housing; rising rents; under-funded services – all the conditions of our social life being attacked and commercialised by a class that has shown itself incapable, in the most basic terms, of being able to run the system for the benefit of all. This is what needs to be challenged as a priority, not people’s reactions to those planned and deliberate failures known as neoliberalism. And this is where pro-status quo anti-fascism is falling down and demonstrating both a misunderstanding of where we are today and a real lack of political courage. A call to ‘vote to stop the BNP’ is, in most areas where it is raised, a barely-disguised call to vote Labour. That is why the unions are funding the millions of leaflets delivered by Hope Not Hate. (We can dismiss the suggestion that this slogan is also a call to vote Green. The BNP and Greens are not competing for the same vote. Nor need we dwell on those areas where the slogan translates into voting Tory or Lib Dem beyond imagining how an implied call to ‘Vote Thatcher to stop the National Front!’ would have been met.) An anti-fascism tied to support for the parties that have imposed the conditions people are protesting against is a failing anti-fascism. It is sacrificing all credibility by joining hands with the very establishment that people are so fed up with. The combined party membership of mainstream parties has dropped from more than three million in the 1960s to barely half a million today and it is still falling. In conditions where large sections of the electorate are abandoning all the mainstream parties, for anti-fascists not to be supporting or initiating local projects that are prepared to confront rather than support the Labour Party is to politically abandon those communities to the BNP. Other aspects of current anti-fascist activism should also be questioned. This includes the widespread policy of ‘no platform for fascists’. 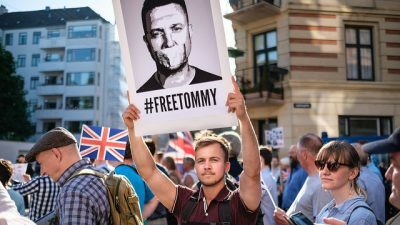 Following the egging of Nick Griffin on College Green, at Westminster, the day after his election as an MEP, it has become evident that – beyond the confines of those who are already politically opposed to the BNP – ‘no platform’ has very little popular support. In a country where the myths of democracy and freedom have a great hold over the public political imagination, a ‘no platform’ approach to the BNP is dangerous in a number of ways. First, via the functioning of that democratic myth, it associates the left with authoritarianism, violence and telling people what they can and cannot hear or read – exactly the sort of high-handed arrogance that is leading many people to reject the mainstream parties. Second, it acts as cover and support for top-down or state-led manoeuvres such as the closure of the BNP’s bank accounts by Barclays, which led to a Palestinian solidarity account being closed as well, or the plans by the Equality and Human Rights Commission to investigate the party’s constitution and membership rules. How easy would it be to turn these initiatives against us? Already there are calls for a Berufsverbot for public sector workers, banning BNP members from those professions. This plays directly into the hands of the establishment. Of course, a community-led and supported refusal to allow the BNP to operate in their area is a very different matter, but we’re currently seeing a top-down version of ‘no platform’ substituted for this effective grass-roots one. On a related note, Love Music Hate Racism (LMHR) is an attempt to continue the cultural fight of the Anti-Nazi League and Rock Against Racism by holding music festivals and similar events. Again, questions need to be asked. The problem is that today they simply attract those who are already against the BNP. In the past they were real arenas of conflict, battlegrounds for the hearts of young people. Today that context no longer exists and the far right has no hold over the young – it lost that battle years ago. Energy and resources channelled into LMHR would be better off directed at helping to deal with the problems working-class communities face as part and parcel of squeezing the BNP. What all the current anti-fascist approaches have in common is that they miss the real danger. This doesn’t lie in the BNP taking power, in the possibility of concentration camps or any of the other scare stories we’ve been hearing recently. It lies more immediately in the far right colonising the anti-mainstream vote and developing party loyalty, thereby blocking the development of an independent working-class politics capable of defending our conditions and challenging neoliberalism. The BNP’s politics is being normalised, with the consequent racialisation of social issues and a massive shift to the right. Each step they take forwards knocks the ‘left’ backwards. This represents an immense defeat for the left – one that could take us decades to recover from and leave us as outsiders (even more so than today) in working-class communities, the very places that we all recognise as being key to real social change. That is what will happen unless the job of defending the needs of those communities is seriously taken on and our counter-productive, outdated ‘anti-fascism’ is discarded. I offer a few positive suggestions towards a new approach. 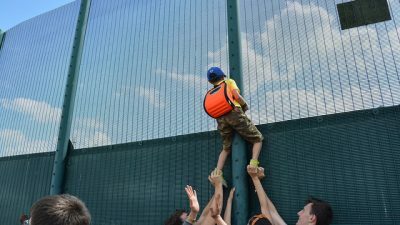 We could form ‘community unions’, unconnected to Labour, possibly funded by trade unions but with organisational independence assured, that would work directly on helping to meet the needs of those politically abandoned working-class communities where conditions are deteriorating by the day. These would be based around the self-identified needs and plans of those communities – which can only pit them head-to-head against the BNP and the political mainstream. The types of small victories that can be won on this terrain should be viewed not only as being worthwhile in themselves, but also as contributing to the re-emergence of community confidence in political self-assertion, the necessary first steps towards achieving further-reaching change. 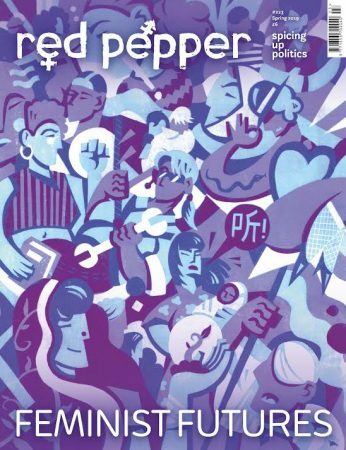 There are already existing groups engaged in this sort of practical activity, such as the London Coalition Against Poverty, Haringey Solidarity and the Oxford and Islington Working Class Associations (see Red Pepper Oct/Nov 2007). The need for these to be open membership union-type organisations rather than party membership-type groups is a simple practical one. People will join unions at work as they recognise collective needs that exist over and above the heads of political disagreements, and the same is true of community needs. And once there is widespread identification (even passive) of the needs of an area/workplace with the existence of a union it becomes very hard to shift; that identification becomes a power in itself. Parties are too narrow to play this role under today’s conditions – they exist on a different level – but there is no reason why they cannot play a role within these broader open groups. We should develop the ‘expose them’ model into one that, instead of revealing ineffective details about individuals, concentrates on why their polices will not deal with the social problems driving people into their arms. If we cannot make this clear to those already intensely concerned with these issues then our propaganda is failing and is at best talking to those who would never vote BNP anyway. This will require a direct challenge to Searchlight/UAF and other mainstream anti-fascists as they continue to empty their publications of all but the most inane type of content criticised above. This, of course, needs to be linked to the activity of the ‘community union’ type groups mentioned above. Stop the marches, labelling, shouting, and so on. Marching into an area that you do not know and have no continuing interest in and shouting what’s right for that area is alienating and counter-productive. People do not like being told what’s best for them and will kick back against or simply ignore this sort of activity. All of this can be performed without capitulating to racism and without writing off vast swathes of the population. It has to be.